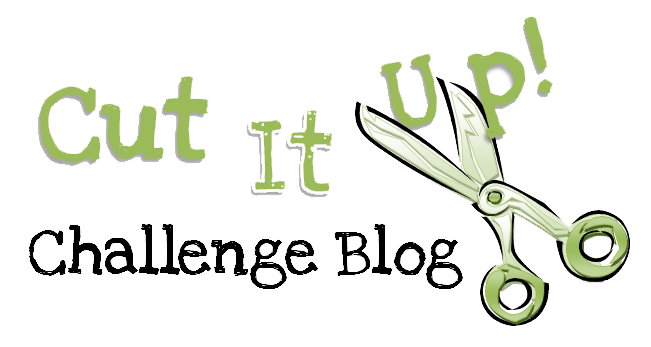 Time for some spooky fun at Cut it Up Challenge Blog! We were asked to make a Halloween project with a little spookiness to it. FUN! I needed several Halloween cards. I kind of send them out like Christmas cards, because they’re such fun to make!! I have so many ideas and cute files and images, that I can’t stop at just one. My favorite size to make is 3 – 3.5 inch little square cards, so I made three with envelopes. Our sponsor this week is Trendy Twine. They gave us some awesome twine to work with. It’s called Orange Licorice, and I used it in three different ways. I love the bold color! For the card on the left, I hand-stitched the outline of the cauldron. First, I used my piercing tool to make little holes; then I threaded a large-eyed needle and just sewed through. 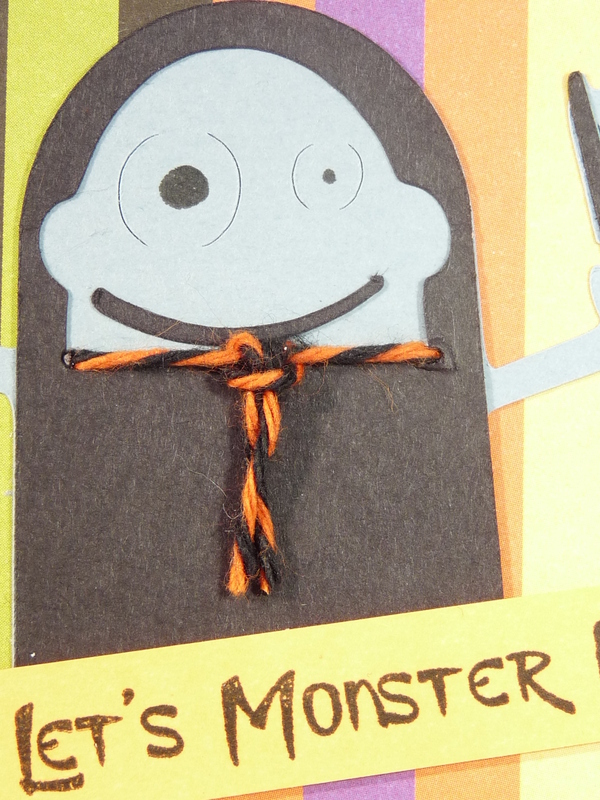 I used the same threaded needle to make the horizontal line of the tie around this little Grim Reaper’s neck. Then I just tied a little bolo tie with a scrap. 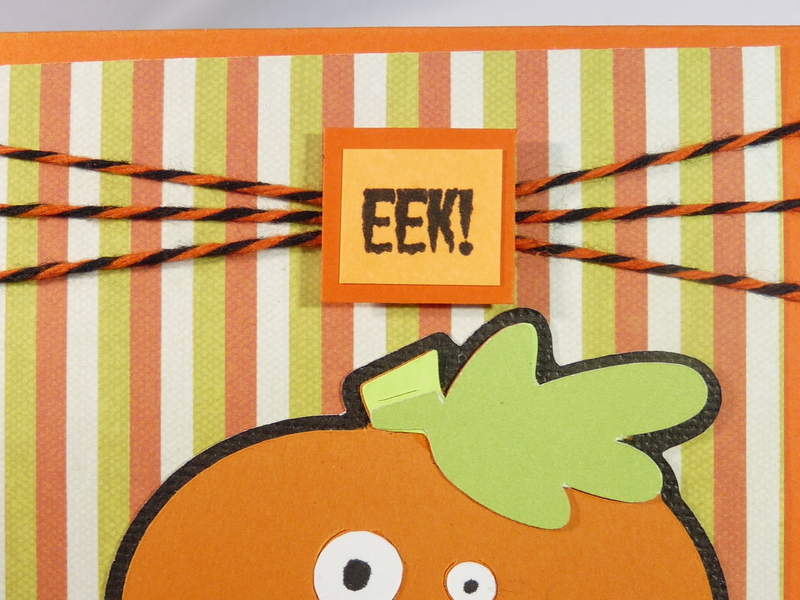 The twine feature on the pumpkin card is easy to do. You just wrap the twine around three to five times, then take a scrap of twine and tie it around the middle, cinching it up nice and tight. You cover it with a decorative element. 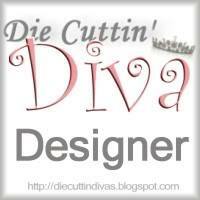 All the cuts are from the Mini-Monsters Cricut cartridge. The stamps are from Pink By Design, A Haunting We Will Go. 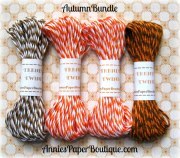 It’s 10 yards each bundle of (L-R) Chocolate Truffle, 2 of Orangesicle, and Orange Truffle Trendy Twine. Remember to read the rules of the challenge to be sure that you meet them. Can’t wait to see your Halloween projects! This entry was posted in Uncategorized and tagged 3 X 3s, Cut It Up Design Team, Halloween, Mini-Monsters. Bookmark the permalink. love your mini cards Evelyn!! 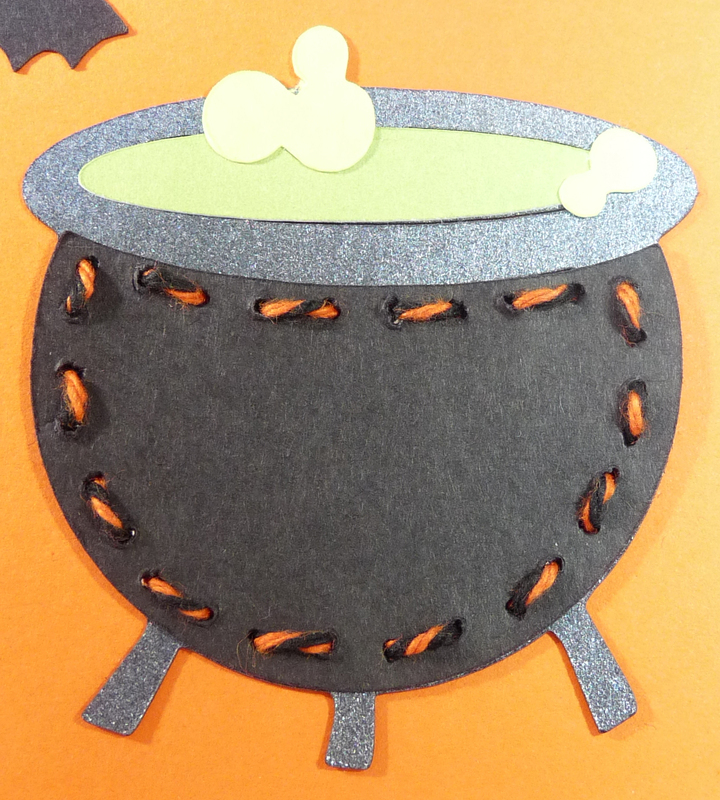 I especially like the way you used the twine on the cauldron – creative!! These cards are just too, too cute!! I really like how you did the twine! So clever!! Love how you used your twine to stitch!! All the cards are super adorable Evelyn!! All are as cute and clever as can be!!! Love these mini cards. What a perfect idea for a Halloween party.